The roaring late 1920s were a hoot for the Bentley Boys, a gang of men who clinched accolade after accolade at the Le Mans 24 Hours, the biggest and most grueling race of them all. 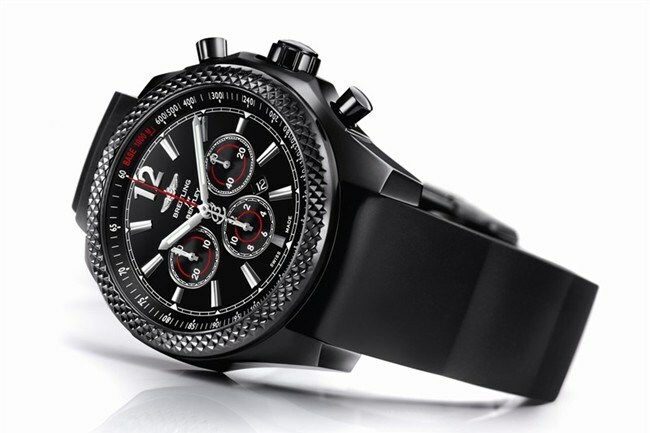 This year, Breitling honors the baddest driver of them all, Joel Woolf Barnato, in a superlative all-black timepiece. An exceptionally sporty COSC-certified selfwinding chronograph, the new Barnato 42 Midnight Carbon’s striking appearance comes courtesy of its black steel casing, bathed in a special carbon-based treatment to lend it the deep lustrous color of night, accented with the gorgeous faceted bezel that recalls Bentley’s famous radiator grilles. The all-black ensemble is accented with a pop of dangerous red via the “instrument panel” that is as functional as it is cool: painted over with an invisible luminescent coating, the oversized hands and hour-markers glower brightly at night for easy visibility on the roads at night. 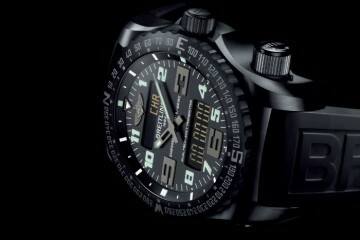 Limited to a production of just 1,000, get your champion piece at your Breitling boutique now.